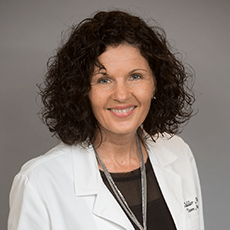 Our highly-equipped Urodynamicist and Diagnostician, Dawn Mayberry, is able to provide more knowledge about the benefits and procedures of Urodynamics. A graduate from the University of Michigan, Dawn has been seeing patients with bladder problems for over 23 years. She has extensive training in clinical urodynamics as well as the top notch skills to evaluate pediatric, spinal cord, female voiding dysfunction, and BPH/prostate CA as it relates to bladder functions. Urodynamics is able to tell Dawn and the team at Urology Experts a wide range of information about your bladder and how it is working. Urodynamics is a functional test used to measure how effectively your bladder is working. The test involves filling a patient’s bladder with sterile water and using urodynamic sensors to measure the amount of pressure in your bladder. The test is not painful, but it will give you a strong urge to urinate. Patients may leave the same day and resume their normal diet. We recommend drinking a lot of water following the test and you will be back to normal within 24 to 48 hours. Urodynamics is helpful in answering important questions about your bladder. The test will determine how well you hold urine, what kind of leaking you are experiencing and how well you empty your bladder. This procedure gives us a lot of information about our patients. Urodynamics allows us to help patients with BPH (enlarged prostate), prostate CA, stress incontinence, urge incontinence, inability to empty, as well as more complicated issues, such as multiple sclerosis and Parkinson’s Disease.